Entertainers Delight! 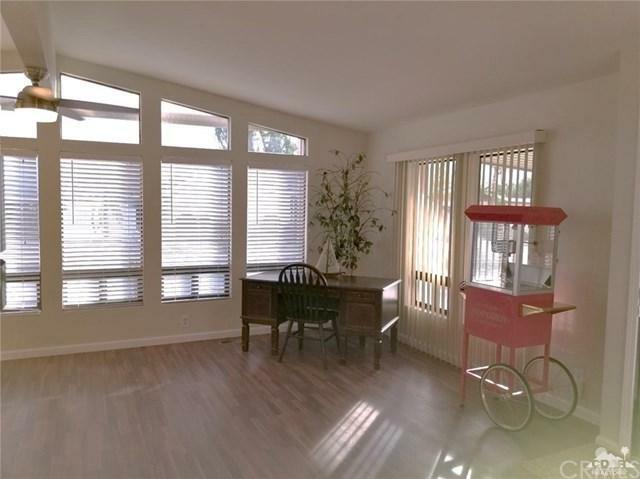 This unique updated 2 bed/ 2 bath home is located on a much desirable interior street. 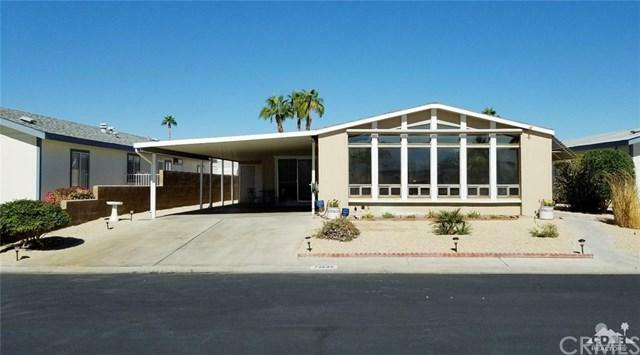 Cathedral Ceilings and large windows showcase the spectacular mountain views! Laminate flooring throughout the home creates an elegant spacious but warm living space. 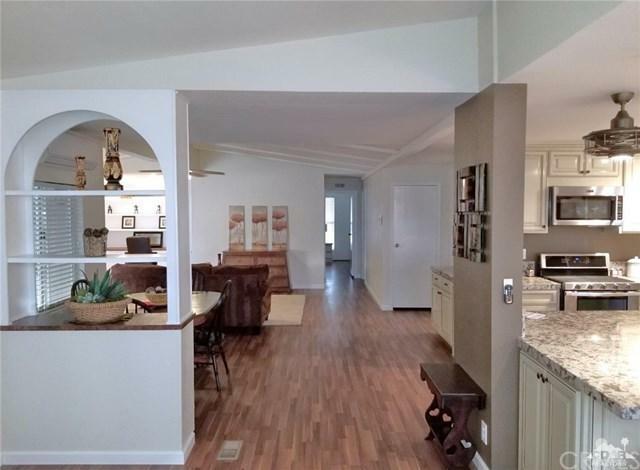 Recently remodeled kitchen with custom cabinets, Quartz counter tops, stainless steel appliances, and an oversize island is perfect for cooking and entertaining guests. The newer A/C, designer fans, and electric wind and sun automatic censored awning will assist with energy efficiency during the warmer desert days. The extra-large master suite has a huge his and hers walk in closet! Master bath has double sinks, soaking tub and a separate shower stall. Guest bath has also been updated with a new nice size fiberglass shower stall. Side by side parking, new landscaping and irrigation complete this one of a kind home. 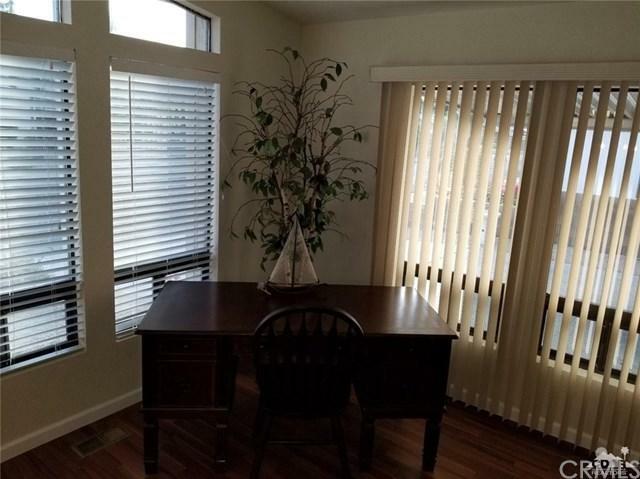 Palm Desert Greens low HOA $285 incl. FREE Golf, restaurant, bar, swimming pools, and so much more!